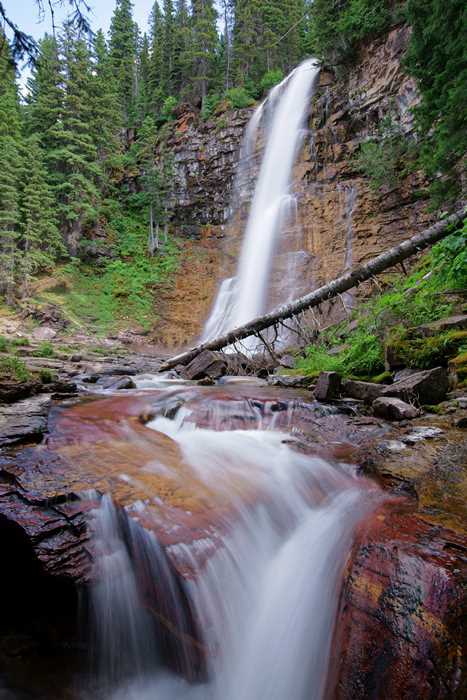 With a little bit of effort, you can see three excellent waterfalls on Glacier National Park’s East Side. The third one, Virginia Falls, is less than a mile from St. Mary Falls, making it an excellent goal for a hiking outing. And, it’s arguably the most beautiful of the three, so you’ll really want to hike all the way, if you can. 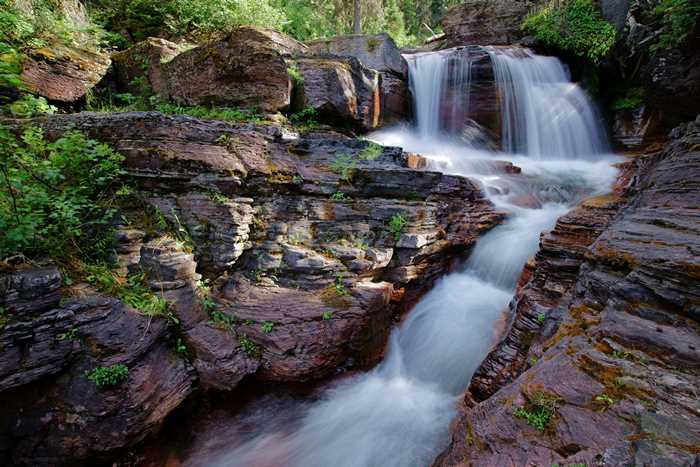 Baring, St. Mary’s, and Virginia Falls are located on Glacier National Park’s East Side. You can access the trail to all three waterfalls at Sunrift Gorge, or at another access point just to the west of Sunpoint Gorge. If you’re willing to skip Baring Falls, and only hike to the other two, you can use that second trailhead, and avoid a small amount of elevation loss and gain. If you hike to Virginia Falls via Baring Falls, you’ll hike 2.7 miles, one-way. Start at the St. Mary Falls trailhead and skip Baring Falls, and you’ll hike 1.6 miles, one way to Virginia Falls. … and different. You might want to stop at several of them on the way out, or save them for the return hike. When you finally make it to Virginia Falls, you won’t be alone, but that’s okay. It’s pretty easy to ignore the crowds and get up-close to this waterfall. Virginia Falls has a tall upper waterfall, plus some smaller cascades down below. Find a good spot near the bottom, and then work your way up. Photographers will find many different ways to shoot this beautiful waterfall. … where you can line up some fantastic shots. I must admit, at this spot, there were a lot of people who kept wandering into my shot. It was difficult to get a nice, cloudy moment that was also kid-free, but the wait was worth it. I’d strongly suggest hiking all the way to Virginia Falls, if you have the time and the energy. Of the three falls, Virginia Falls is certainly the most beautiful. 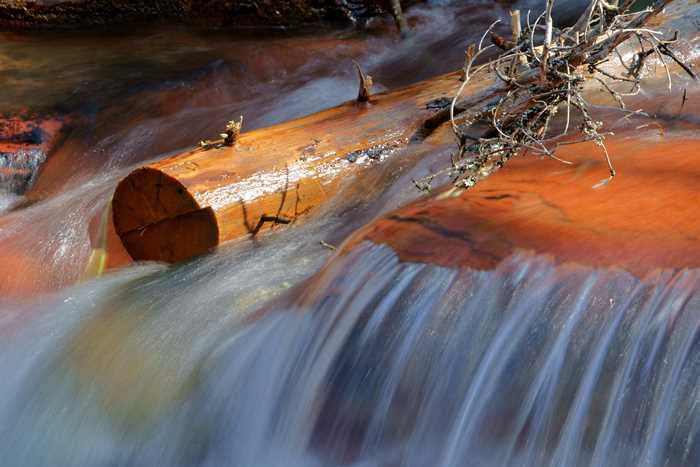 You can always skip Baring Falls (one-way or both ways) to make the hike shorter and easier.